Steel roof panels are perfect for agricultural and commercial roofs as they weigh less, can oftentimes be applied without having to remove the old roof, and are cost-affordable. 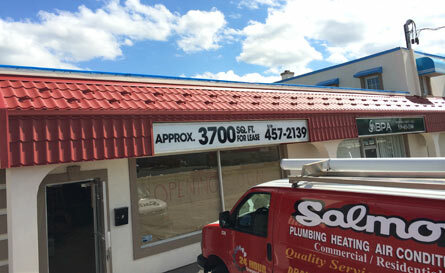 If you're searching for a steel roofing contractor in the GTA, Toronto, Ottawa, or elsewhere in the province, consider this. The steel roof system we have developed for agricultural and commercial application is environmentally and economically friendly, made from fire-proof materials, offers excellent curb appeal, and is among the most durable materials you could use on your roof. Steel roofing in Ontario, Canada has never been more attractive for agricultural and commercial roofs, and can be installed on any building. Contact us or use "LOCATIONS" tab from the menu to find the showroom closest to your location and talk to a member of our staff who would be happy to help you with any questions you may have.